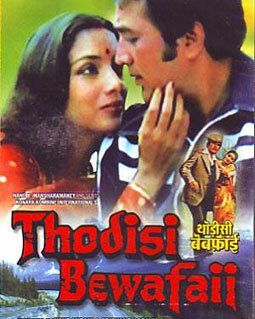 Aankhon Mein Humne Aapke Sapne Sajaye Hain song lyrics from film Thodi Si Bewafai. Lata Mangeshkar and Kishore Kumar has sung it and Khayyam has composed its music. This song is written by Gulzar.